ATV is known by manufacturing the multipurpose fast ramping furnaces since 1982. The PEO series with single quartz tube is a perfect example for our success. It was originally developed for thick film paste firing but lately used for LTCC sintering. In 1992 ATV produced their first LTCC Sintering press for constrained LTCC sintering based on the PEO experience. With the new device development ATV launched their new PHP-630 LTCC Sintering Press based upon the PEO 603 quartz tube furnace. With a press force of 500N up-to 50KN and a resolution of only 100N, ATV targets the market when low pressure force is required. ATV’s competence in temperature-based semiconductor processes, the PHP-630 can reach excellent process results with temperature starting from 250°C to 1 100°C. If required the high temperature system of 1100°C can be applied as an option. The PHP-630 has a control deviation of < ± 0,5K at temperatures higher than 350°C, a temperature uniformity of < 6K on a substrate size of 8” x 8”and an in situ-controlled shrinkage resolution of the Z-axis of only 5µm. With the PHP-630 LTCC Sintering Press, ATV has a well thought system which has a wide application field in this market. Also, the ability of working with a variety of topographies and ATV`s unique has a pneumatically driven pressure unit to achieve ultra-smooth and uniform force control over the full substrate surface. 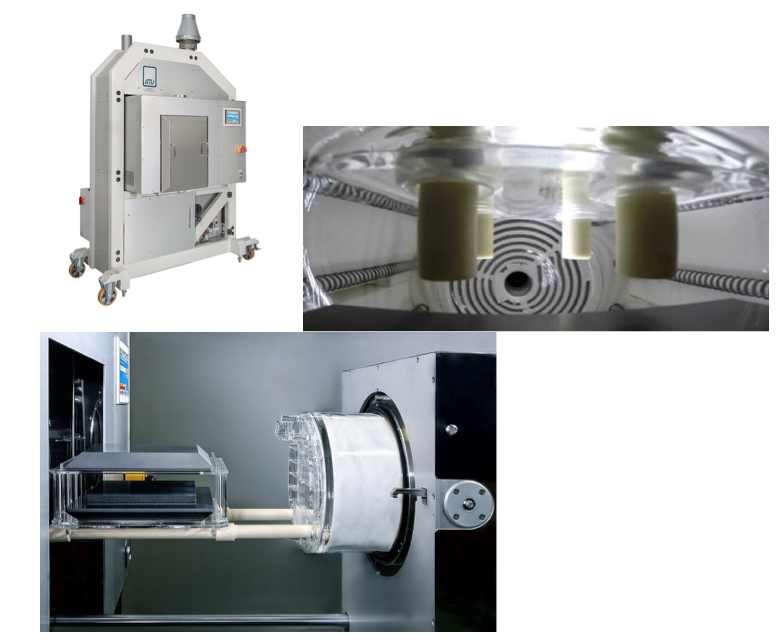 The PHP-630 can operate in pressure mode but also in a pressure less mode for non-constrained sintering, thick film paste firing or annealing. This versatile system can be applied in R&D as well for low to medium volume production.